That's right, we're back, do your dance! After an extended absence, we're back to dishing out what we do best, free ways to help you look and feel good. The ultimate total body workout program to kick start your new fitness routine. 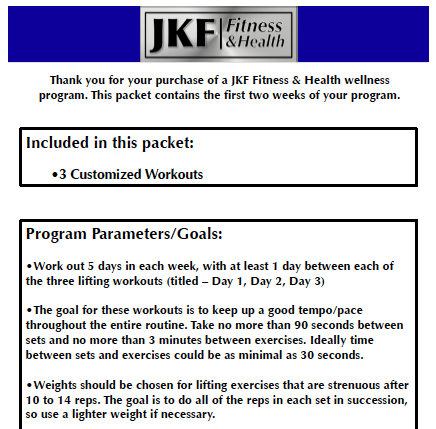 This two week guided program features 3 distinct workouts and instructions for 5 days of training per week. Guaranteed to help you lose weight, gain muscle and sculpt your body. The thinking behind the program is that everyone needs a base to start from and ideally that base should be helping them lose weight - meaning burn calories. The total body program works every major muscle group in the body through what we like to call controlled failure. Once you've maxed out on what your chest can do, we give it a rest and work your legs and so forth. This results in you being able to perform at maximal levels for longer periods of time during your workout, thus burning more calories and more fat. The program also deftly mixes in aerobic, anaerobic and strength moves to keep your heart rate up and effect the greatest amount of change in your body possible. The benefits: After a few weeks, you'll find that your ability to perform exercises with more weight, at a higher intensity level, with less rest time between sets and exercises has improved. That new found efficiency is the result of metabolic, cardiovascular and muscular endurance gains brought about by the program. 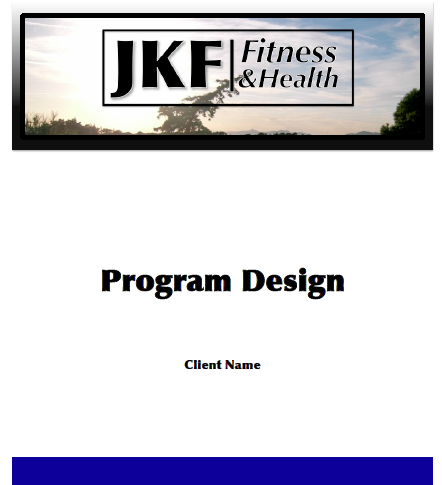 Interested in learning more about our guided programs contact us here. 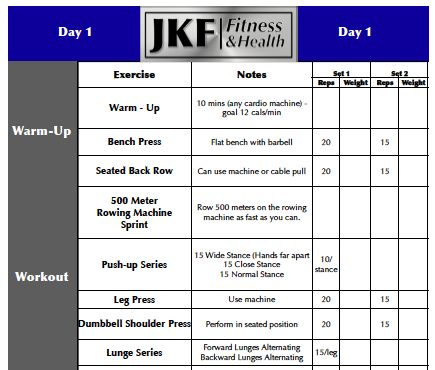 Want more free workouts and tips check out our download pages!